A rich and creamy cleanser for total moisturization inspired by our beloved classic body moisturizer. 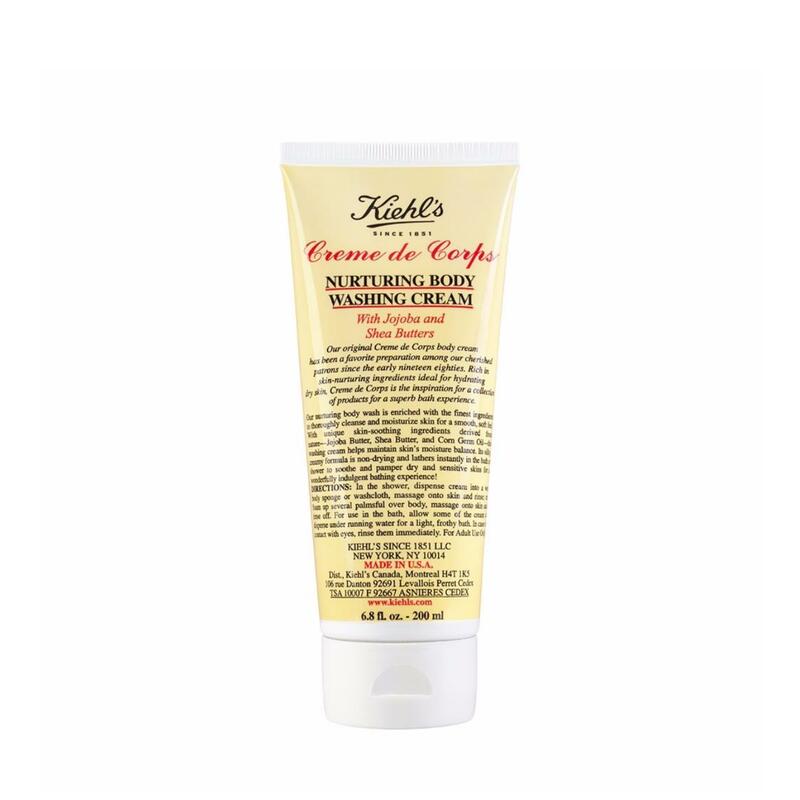 Our original Kiehl's Creme de Corps body cream has been a favorite preparation among our cherished patrons for decades.Rich in skin-nurturing ingredients ideal for hydrating dry skin, Kiehl's Creme de Corps is the inspiration for a collection of products for a superb bath experience. Our nurturing body wash is enriched with the finest ingredients to thoroughly cleanse and moisturize skin for a smooth, soft feel. With unique skin-soothing ingredients derived from nature, Jojoba Butter, Shea Butter, and Corn Germ Oil, this washing cream helps maintain skins moisture balance. Its silky, creamy formula is non-drying and lathers instantly in the bath or shower to soothe and pamper dry and sensitive skins for a wonderfully indulgent bathing experience! How To Apply : In the shower, dispense cream into a wet body sponge or wash cloth, massage onto skin and rinse or foam up several palmsful over body, massage onto skin and rinse off. For use in the bath, allow some of the cream to disperse under running water for a light, frothy bath.